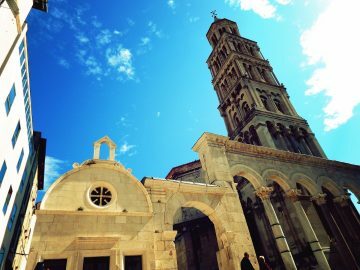 Split city is one of the best-preserved monuments of the Roman Empire, with the Old Town holding an important part of history in every building and street, especially Diocletian’s Palace which is an iconic piece of Roman History, built in 305 AD, and now a UNESCO World Heritage Site. 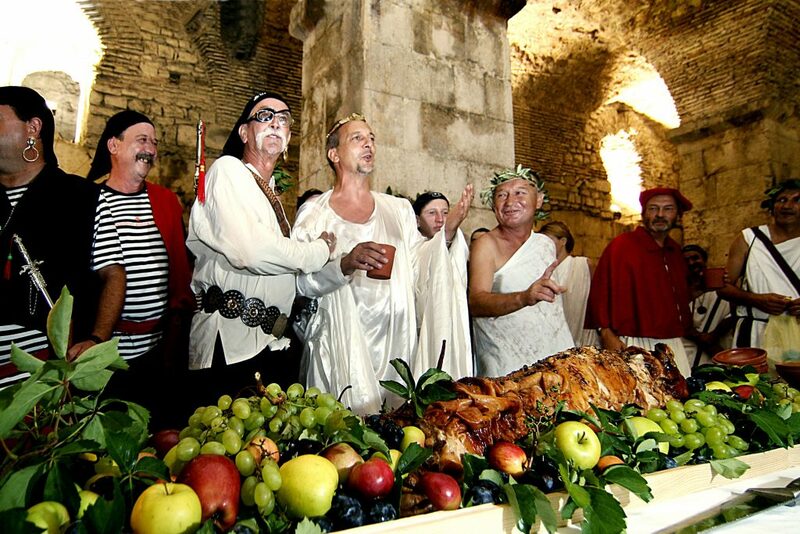 The many people of Split come together each year to celebrate The Days of Diocletian, to bring the history of Split alive and celebrate the rich Roman history. Built as a home for the retired emperor, the Palace combines the appearance of a lavish villa with the strategic use of a fortified Roman military camp. The palace lies inside of huge walls with a gate at each end, the Gold, Iron, Silver and Bronze gate. The northern part of the palace was designed for the army, the Emperor’s Praetorian Guard and for economic purposes such as warehousing and weaving cloth. The southern buildings were the residential areas and house the Emperor’s apartments and halls with baths, library, living room, dining room and quarters for his courtiers and guests. There were also four temples where religious ceremonies took place. After the emperor’s death, most likely in 316, his palace became state property that served for exiled Roman nobles and weaving workshops. 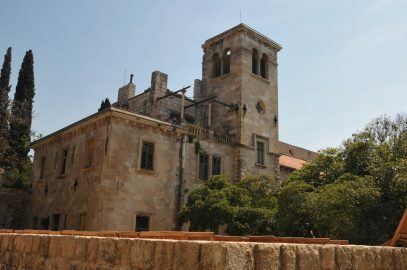 Once abandoned by the Romans, Diocletian’s Palace became a refuge for residents escaping war. Housing up to 9,000 people at one point, the Palace soon became a cultured city that we now know as Split. Today, the Diocletian’s Palace houses shops, restaurants and markets, the ruins holding modern amenities and local produce. The most important event takes place on Friday. With the Emperor’s speech and Empress Prisca’s order, legions lineup and gladiators start to fight just like they would have in 305 AD. Like real Roman matches, the large audience will be able to watch gladiators fight and see whether the Emperor commands for them to live or die. 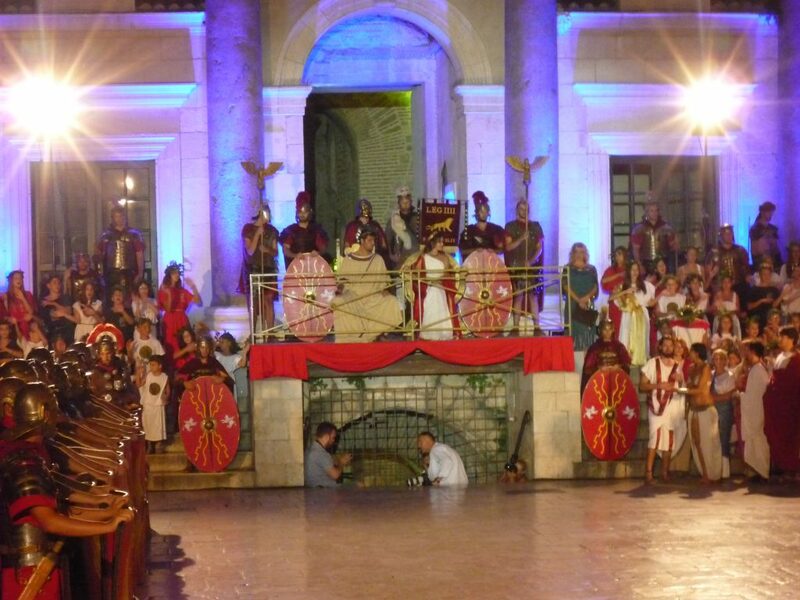 After, Roman women will dance with fire and fire-eating performances provide entertainment. 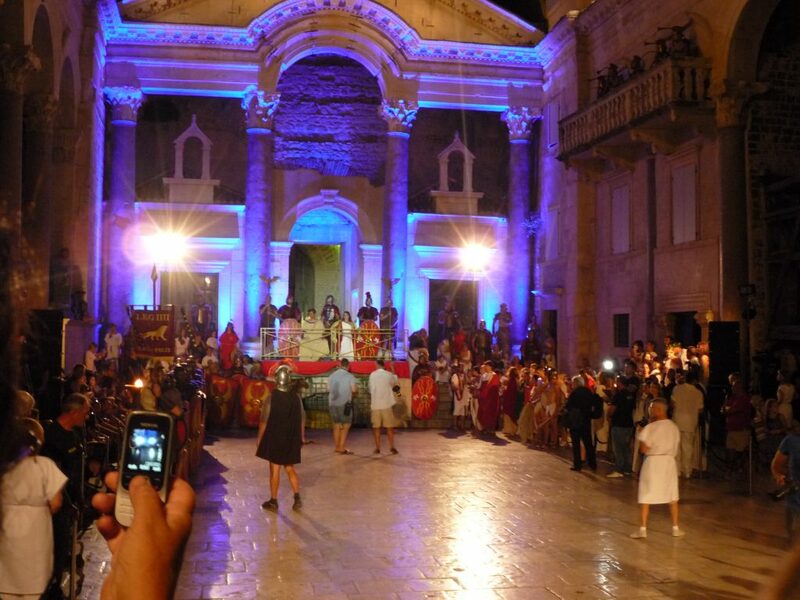 As well as these three days to celebrate, the Diocletian lives in Split all summer. From May to September, every day at noon, the Peristyle holds the changing of the guards and the Emperor welcomes gathered tourists, expressing their welcome in Latin. Our Croatian villas offer the perfect base when you are exploring the beautiful city of Split. 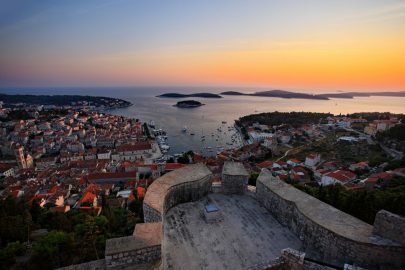 Be sure to check out our range of luxury villas in Split and have a wonderful historic journey through time!